Sun Valley is a market leading supplier of nuts and snacks. 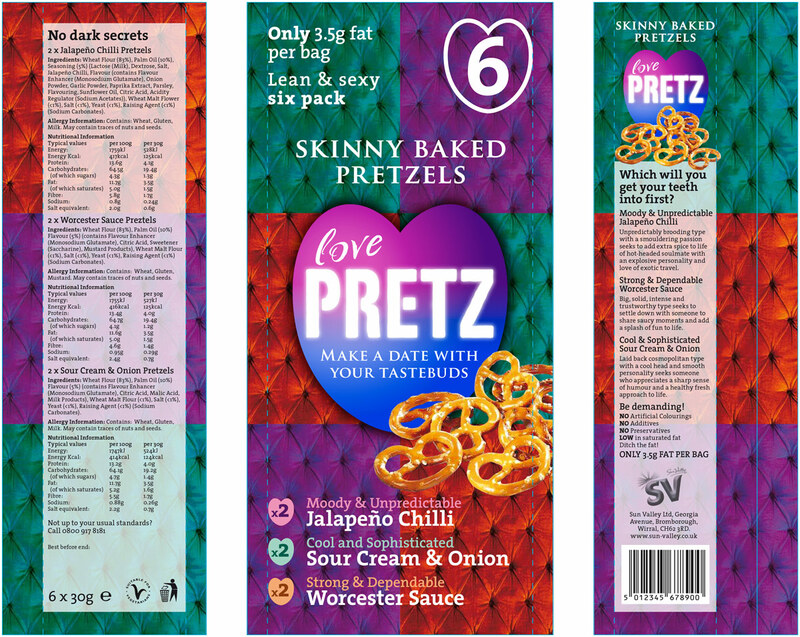 Whilst working at Principles Agency, I co-created a new brand of pretzels aimed at more health conscious female consumers called ‘Pretz’ with the positioning line ‘Make a date with your tastebuds’. 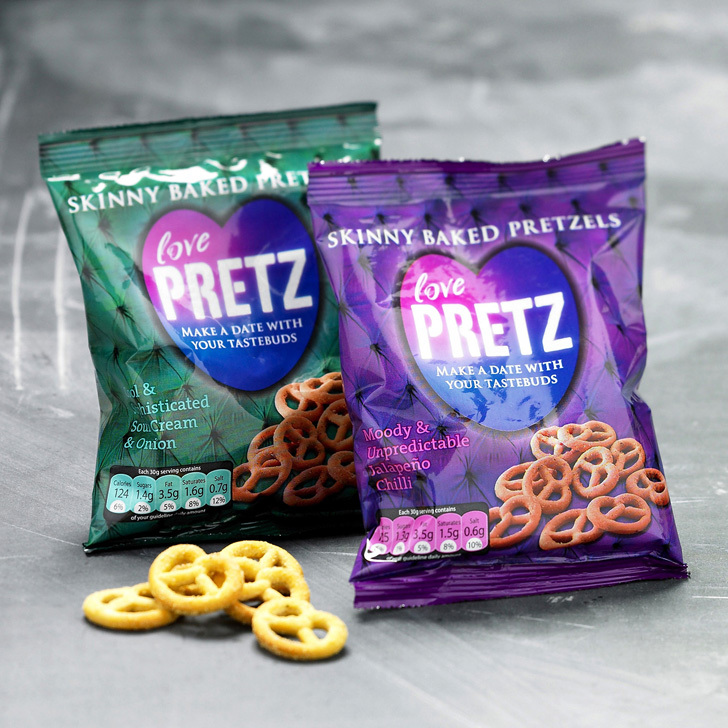 On-pack copy gave each flavour a personality written in the style of an online dating profile. Pretz. Make a date with your tastebuds. Is Moody & Unpredictable Jalapeño Chilli your type? Unpredictably brooding type with a smouldering passion seeks to add extra spice to life of hot-headed soulmate with an explosive personality and love of exotic travel. Is Cool & Sophisticated Sour Cream & Chive your type? Laid back cosmopolitan type with a cool head and smooth personality seeks someone who appreciates a sharp sense of humour and a healthy, fresh approach to life. Is Strong & Dependable Worcester Sauce your type? Big, solid, intense and trustworthy type seeks to settle down with someone to share saucy moments and add a splash of fun to life.